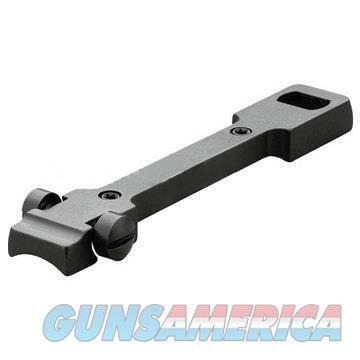 Description: This Leupold STD 1-Piece Base (49986) is rock-solid, windage adjustable and also fits in most rifles. The forward part of the base accepts a dovetail ring, locking it solidly into position. The rear ring is secured by Windage adjustment screws. These bases are gloss black unless otherwise noted. All bases include torx screws and torx driver tool.